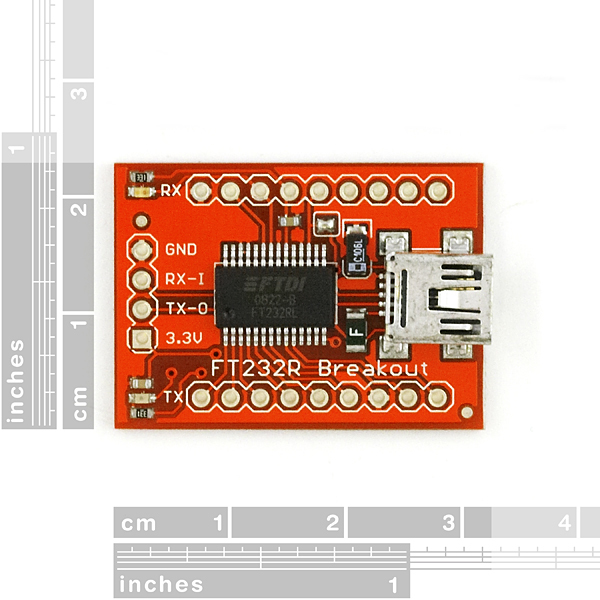 Basic breakout board for FTDI's popular USB to UART IC. Now with internal oscillator and EEPROM, the FT232RL is an impressive IC! VCCIO is now tied to 3.3V through a solder jumper. You have the option of clearing this jumper and tying the VCCIO pin to 5V or any other IO voltage you need. For more information on how to wire VCCIO for 5V . 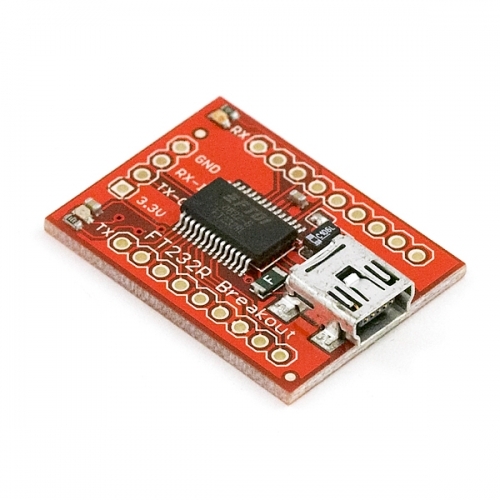 Check out these really well done tutorials on bit-banging SPI with the FT232. this board may supply with blue Solder mask.